Having a vintage themed bridal shower? This gorgeous Vintage Bride To Be Rosette Large is the perfect retro accessory to let everyone know it's your hen party! The badge is made up of layers of card, each featuring a different pastel-coloured floral pattern. The centre piece has a 'Bride to be...' message written in gold italic text. Two pieces of pink ribbon are attached to the bottom. 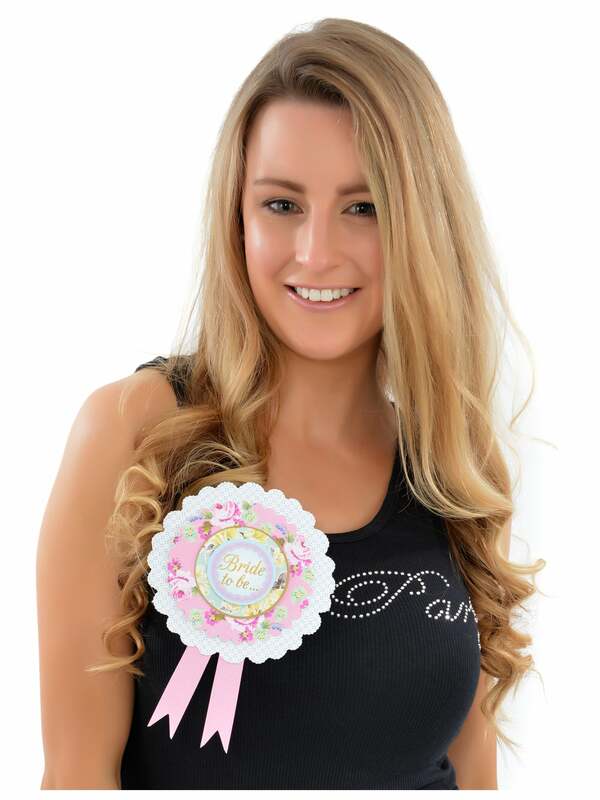 Make sure you get the matching Vintage Hen Party Rosettes for your guests! Also, why not check out our selection of gorgeous vintage decorations and tableware, including the Lampshade Bunting, Paper Plates and Paper Tablecloth? Ordered this to match the smaller hen party ones and was delighted with it. Arrived quickly.